Crown fractures as a part of traumatic injuries are common among schoolchildren. They create serious functional, esthetic and psychological problems for both children and their parents. Repeated reconstructions are needed in many cases because of compromised results as time passed by. The clinicians find it difficult because of the small patient’s age, need of high esthetics in the front region and the choice of exact treatment plan. In this review article the method of reattaching fractured incisors has been described. A critical analysis of proposed from different authors improvements and objections has been made. All the advantages and evidences described in the literature are discussed in order to give the clinician a good therapeutic approach. Key words: reattachment, crown fractures, permanent teeth. 2. Alvares I, et al. Silicone index: an alternative approach for tooth fragment reattachment. J Esthet Restor Dent 2007;19(5):240-5. 3. Andreasen FM, Noren JG, Andreasen JO, et al. Long term survival of fragment bonding in the treatment of fractured crowns: a multicenter clinical study. Quintessence Int 1995; 26: 669-681. 4. Andreasen FM, Sternhardt U, Bille M, Munksgaard EL. Bonding of enamel-dentine crown fragments after crown fracture. An experimental study using bonding agents. Endod Dent Traumatol 1993; 9: 111-114. 5. Baratieri LN, Monteiro S Jr, Caldeira de Andrada M. The “sandwich” technique as a base for reattachment of dental fragment. Quintessence Int 1991; 22: 81-85. 6. Baratieri LN, Ritter AV, Monteiro S Jr, et al. Tooth fragment reattachment: An alternative for restoration of fractured anterior teeth. Pract Periodontics Aesthet Dent 1998; 10: 115-125. 7. Basuttil NA, Fung DE. Tooth fragment reattachment after retrieval from the lower lip – a case report. Dent Traumatol 2007; 23: 177-180. 8. Borssen E, Holm AK. Traumatic dental injuries in a cohort of 16-year-olds in northern Sweden. Endod Dent Traumatol 1997; 13: 276-280. 9. Burke FJT. Reattachment of fractured central incisor tooth fragment. Br Dent J 1991; 170: 223-225. 10. Burke FJT. Repair of fractured incisors using a 4-META material. Dent Update 1997; 24: 358-360. 11. Capp CI, Roda MI, Tamaki R et al. Reattachment of rehydrated dental fragment using two techniques. Dent Traumatol 2009; 25: 95-99. 12. Cavalleri G, Zerman N. Traumatic crown fractures in permanent incisors with immature roots: a follow-up study Endod Dent Traumatol 1995: 11: 294-296. 13. Chosack A, Eildeman E. Rehabilitation of fractured incisor using the patient’s natural crown. Case report. J Dent Child 1964;31: 19-21. 14. Dean JA, Avery DR, Swartz ML. Attachment of anterior tooth fragments. Pediatr Dent 1986; 19: 731-743. 15. Demarco FF, Fay R-M, Pinzon LM, et al. Fracture resistance of re-attached coronal fragments - influence of different adhesive materials and bevel preparation. Dent Traumatol 2004; 20: 157-163. 16. DiAngelis AJ, Jungbluth MA. Restoration of amputated crown by acid - etched technique. Quintessence Int 1987; 18: 829-833. 17. El-Askary FS, et al. Reattachment of a severely traumatized maxillary central incisor, one-year clinical evaluation: a case report. J Adhes Dent. 2006 Oct;8(5):343-9. 18. Farik B, et al. Drying and rewetting anterior crown fragment prior to bonding. Endod Dent Traumatol 1999; 15: 113-116. 19. Farik B, et al. Fractured teeth bonded with dentine adhesives with and without unfilled resin. Dent Traumatol 2002; 18: 66-69. 20. Gallo JR, et al. Shear bond strength of four filled dentine bonding systems. Oper Dent 2001; 26:44-47. 21. Hall DA. Restoration of shattered tooth. J Am Dent Assoc 1998; 129:105-106. 22. Kanca J. 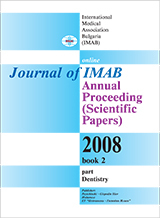 Replacement of a fractured incisor fragment over pulp exposure: a case report. Quintessence Int 1993; 24: 81-84. 23. Karapanou V, Antonellou E.J Mass. Autogenous attachment technique with esthetics in mind: trauma management case report. Dent Soc.2008;56(4):32-5. 24. Liebenberg WH. Reattachment of a coronal fragment: operative considerations. Pract Periodont Aesth Dent 1997; 9: 761-772. 25. Macedo GV et al. Reattachment of anterior teeth fragments: a conservative approach. J Esthet Restor Dent. 2008;20(1):5-18. 26. Magne P, Douglas WH. Cumulative effects of successive restorative procedures on anterior crown flexure: intact versus veneered incisors. Quintessence Int 2000; 31:5-18. 27. Osborne J, Lambert R. Reattachment of incisor tooth fragment. Gen Dent 1985; 33: 516-517. 28. Perdigгo J, Lopes M. Dentin bonding-State of the art 1999. CompContin Educ Dent 1999; 20:1151-1162. 29. Perdigгo J, Swift EJ Jr, Gomes J et al. Bonding strength of new simplified dentin enamel adhesives. Am J Dent 1999; 12: 286-290. 30. Reis A, Francci C, Lognercio AD, Carrilho MRO, Rodrigues Filho LE. Re-attachment of anterior fractured teeth: fracture strength using different techniques. Oper Dent 2001; 26:287-294. 31. Reis A, Kraul A, Francci C et al. Re-attachment of fractured teeth: a review of literature regarding techniques and materials. Oper Dent 2004; 29:295-300. 32. Strassler HE. Aesthetic manage­ment of traumatized anterior teeth. Dent Clin North Am1995; 39: 181-204. 33. Trushkowsky RD. Esthetic, biologic and restorative considerations in coronal segment reattachment for a fractured tooth: A clinical report. J Prosthetic Dent 1998; 79: 115-119. 34. Vijayakumaran V. Evaluation of crown restoration of fractured anterior teeth using original tooth fragment. J Dent Res 1998; 77: 696. 35. Wiegand A, Rodig T, Attin T. Treatment of crown fructured incisors: reattachment instead of restoration? Schweiz Monatsschr Zahnmed 2005; 115: 1172-1181. 36. Worthington RB, Murchinson DF, Vanderwalle KS. Incisor edge reattachment: The effect of preparation utilization and design. Quintessence Int 1999; 30: 637-645. 37. Yilmaz Y et al, Evaluation of success in the reattachment of coronal fractures. Dent Traumatol. 2008 Apr; 24(2):151-8.